This may have been posted and dicussed before, however for those who haven't like myself it does raise dome valid points. Seventeen days after his four-year-old daughter disappeared, Gerry McCann flew back to an empty house that is still fresh with her memory. Cherry Blossom wrote: This may have been posted and dicussed before, however for those who haven't like myself it does raise dome valid points. Interesting. AW should be able to provide provenance for 'the last photo' if it was on the McC's he camera when he assisted with downloading and selecting the best pictures to support the intial awareness raising. If it was there and not released at the same time as the others selected, then he would be able to give an explanation as to why such an important photograph was overlooked. If he was never questioned by the PJ would he be aware of 'the last photo' controversy, in which case he could at any time over the last 6 years have vouched for its authenticity or otherwise. This thread raises a good many questions not only about 'The Last Photo' but also about the other photos supposedly taken of Madeleine that week. The link on HideHo's site to the article about Alex Woolfall certainly makes interesting reading. 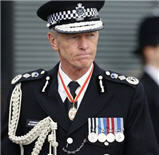 One obvious question, for starters, is what was Alex Woolfall doing sorting through the McCanns' camera's memory card? Why weren't the Portuguese police looking at it? 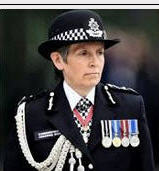 Another question is how did this camera get into the hands of a Hampshire Police Officer who examined it on Tuesday 8 May, apparently in his own home. Who took it there, presumably by plane, and on whose authority? Were any images deleted from the memory stick? I think they were. Who deleted them and why? Also, we are talking about 'the McCanns' camera' as if they only had one camera. Did they perhaps have more than one? Another question: why are there so few photos of her that week? Plus, who actually took the 'tennis balls' photo? Why is it the more I read abut this case the more I can't help feeling that the McCanns had been to PDL at least once before and that the holiday apartment 5a was used previously and they knew the owner Mrs R McCann or her husband (now deceased) Mr M McCann and that they knew Murat. The video and photos are of a previous trip as is the last photo. I just cannot get it out of the back of my mind - sorry but reading this thread and the link just makes me think it even more. Why is nothing in this case straightforward?? I definitely did read in an early article that the McCanns had been to PDL before. It may of course have been an error but then again, perhaps it wasn't. As we know - not just from this case - things that don't agree with official verdicts of events are quickly whooshed. Personally I think that the name of the owner of the apartment is a genuine coincidence but there are so many other things which aren't! 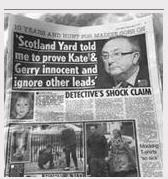 @windchime wrote: Why is it the more I read abut this case the more I can't help feeling that the McCanns had been to PDL at least once before and that the holiday apartment 5a was used previously and they knew the owner Mrs R McCann or her husband (now deceased) Mr M McCann and that they knew Murat. The video and photos are of a previous trip as is the last photo. I just cannot get it out of the back of my mind - sorry but reading this thread and the link just makes me think it even more. Why is nothing in this case straightforward?? I too feel they had been there before, and on that previous visit the pool photo was taken, the link no longer works. In the MSNBC documentary, Richard Gaisford said, when talking of Praia da Luz: "It's a very warm welcoming friendly place. And it was a place the McCanns knew well. They'd been to the resort before." Richard Gaisford isn't he a reporter on Daybreak? That's interesting to have a second report about a previous visit. I'm not positive - but fairly confident - that what I read was an interview in the Daily Mail where Kate was quoted as saying that she felt that PDL was a safe place to leave children because she'd been there before. On the 5th Bell Pottinger crisis management flew in, Alex Woolfall to take care of the McCanns. Iirc his expertise was in reputation management. No Fate Worse Than De'Ath wrote: Yes he is. So it could be possible she gave a joint interview to reporters and one of them was Richard Gaisford, I can't see the point of him making something like that up. tigger, I think I've read somewhere he was their first spokesman. Have they asked for their money back yet? Imagine what it would have been like without his hard work - there is a terrific sycophantic piece by him on McCannfiles.com. The McCanns had photographs of Madeleine on their digital camera, which Mr Woolfall began transferring to a laptop computer. "I said to Kate, 'Let's try to identify pictures where her face is visible'. Downloading the images was a very difficult process for them. It was upsetting. Mr Woolfall transmitted the photographs to the Press Association in London, from where they were distributed to the media. The portfolio included the now famous image of Madeleine wearing a hat on a tennis court. Now, once again: WHY wasn't the "Last Picture" there? @sharonl wrote: This thread raises a good many questions not only about 'The Last Photo' but also about the other photos supposedly taken of Madeleine that week. Likely because it was not given to the Portuguese, either because the PJ didn't ask or was denied permission to have it. Official police work not authorised and not carried out within authorized venue can become legal contention as procedures are breached. Elements of tampering and/or lack of record can become an issue in Court case. If no record is kept of downloaded materials he would have to rely heavily on memory if the authenticity of the last photo becomes a contentious issue. Not only that, the digital details set and/or captured on the camera would be lost to his recollection years later. So yeah, if proven that Madeleine died earlier than the 3rd, AW may face questioning. Because it wasnt a normal family holiday per se. Not packed full of family activities with outings and fun together. The children's days were spent mostly in the Creche. Not taken on the 3rd right...so not significant who took it. It just proves she was alive and well on that particular day so long as other people saw her there. She looks right for her age in that photo. The whole point of photo analysis is to establish when she was last seen alive and well. If no one has seen Madeleine on the 3rd plus no witness seen the family at the pool on the 3rd, the last photo would raise suspicion. 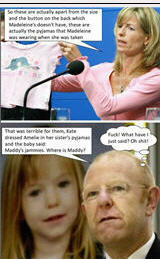 It will be twisted irony if Mccanns have signed their own death warrant by the last photo. All depends on Police establishing when she met her fate. It certainly does seem strange that it was not published earlier IF it was on the camera. The only reason I can think of is the press did not use immediately because it had GM and Amalie on it?? Then again we had seen many pictures of them anyway so not a valid reason tbh especially as it was supposed the LAST photo of MBM. It certainly does seem strange that it was not published earlier IF it was on the camera. The only reason I can think of is the press did not use immediately because it had GM and Amali,e on it?? Then again we had seen many pictures of them anyway so not a valid reason tbh especially as it was supposed the LAST photo of MBM. There is a version of 'the last photo' with M featured alone which was used in the campaign. This is the one which featured on the notice board outside the church. There was a discussion recently about whether M was photoshopped in to the last photo or whether G & A were photoshopped out to provide the well known version with M alone. Sorry, the title of the thread escapes me, perhaps someone can help? I take it to mean that Alex Woolfall would be in a position to verify if the "last photo" and others really were taken when it's claimed. No Fate Worse Than De'Ath wrote: I take it to mean that Alex Woolfall would be in a position to verify if the "last photo" and others really were taken when it's claimed. He's on record as saying he spent some time examining the contents of the McCs camera/memory card so would be in an excellent position to verify the existence of 'the last photo' before GMcC's trip home. If he was questioned about that, I don't recall seeing any record of it. Does anyone know whether he was interviewed during the initial investigation? From the topic 'Video Analysis of the tennis photo' by Garyp. The tennis court photo - I have read many things about photoshopping of this picture so thought I would look into it further. It first appeared in the media unless anyone knows different on the morning of Monday 7th May. This means it must have been in the hands of the editor Sunday 6th May for the layout to be arranged. This photo was not used in PDL in the first days after M disappeared. 7th May was a busy day for this photo it was also used in the email 'chain letter' sent out by Pat Perkins family friend of Kates mother, where did she get it so quickly? And she doesnt really look like someone who would be able to cut the picture down from the original. Dont know maybe she uses photoshop in her spare time. So Woolfall must have missed this one on Monday? It already went out and imo it was never on the camera. Ive always been suspicious as to why gerry returned home . Re the picture ; National titles are not fully staffed on Sundays, the picture editors at two i know use a different person at the weekend , Sat for Sunday;s paper is usually made up early 3pm cut off ,when i'm sending pics in weekdays for live music etc the cut off is 8pm , but pic can be included later in second edition's . The point is Sunday for Monday is the same, the paper is made up early , and only changed up if a big story comes in. The McCann story was not big news initially . IMO the reason a particular pic was used is picture editors will generally use the first ' clean ' image they receive , they cannot be bothered looking through several , only when a better image appears will they change it , usually all the cropping is done by the sender , again you get grief if you send un edited un captioned pics in especially at the weekend . 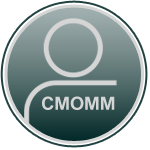 The Memory card ; ALL memory cards can have there data recovered , using recovery software . that is the case on SD cards . I have done a few myself and others i have in the past sent away for this to be done , plus any laptop that has uploaded them will have the images stored somewhere . 'Mini' Tennis discrepancies. Rachael said Madeleine was there .O'Brien said she definitely was not . After watching video and reading what O' Brian had to say, I am more inclined to believe Madeleine was not there. The card on my digital camera holds 100 photos, so could it be that the tennis photo was a photo still held on a camera from a previous holiday? Did KM say anything in the book about that session with Alex Woolfall, the PR man from PR firm Bell Pottinger, who flew to PdL soon after the little girl's disappearance? He had some involved story about looking through KM's digital camera pics, painful though that was, and releasing pictures to the press. It must be time, surely, for all the PR individuals/firms involved with in the early PDL days in particular to be questioned about what exactly they were doing. These people who claim they were helping the campaign to find this child in reality have only added to the obfuscation surrounding this case while doing nothing to advance the search in any meaningful way, if not actually hampering the investigation. 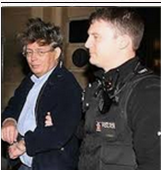 The likes of Woolfall should not have been anywhere near the McCs camera or memory card, tampering with evidence during the early and very live phase of this investigation. There should be no question about the authenticity of 'the last photo', so crucial in establishing the child's whereabouts at a given time on that date. If the McCs are innocent of involvement and their search is genuine, can they not see that all these highly paid meddlers have achieved is extending what is claimed to be the continuing agony of not knowing, and lining their own pockets into the bargain. Cherry Blossom wrote: 'Mini' Tennis discrepancies. Rachael said Madeleine was there .O'Brien said she definitely was not . Well, according to O'Brian's statement he said consistently over several times Madeleine was not there. How much clearer can that get? Not there on the 3rd, but was there with Ella day before. Who can enlighten when AW did that? Was it pre or post the *last photo* release?